Update 6/26: The Faithful Risk Fund is in Gini’s honor, not the platform… There was talk about a crowd sourcing platform as part of honoring her, but that was already in development by the Mass Bay and Clara Barton Districts. So the platform is a collaboration with first $10,000 in donations supporting its development. Inspired, in part, by the Minns Lecture I offered with the Rev. Naomi King, this fundraising platform and fund will allow Unitarian Universalists who are called to creative, innovative and experimental (a.k.a. risky) ministries and ministry projects to reach out to UUs for funding. Using this platform a project requiring $10,000 could be funded by 100 UUs offering $100, or 1,000 offering $10. Projects could range from small amounts, or it could go bigger…. Who knows! And that’s the beauty. We don’t know what will happen or what kind of projects will come forward. We just know that Unitarian Universalism needs them to come forward, and we need a way to make space for them, affirm them, support them, and to learn together through the process. For the last two years I’ve had seminarians, lay ministers, and our clergy asking me about this sort of project. So, I must thank the Rev. Naomi King for our collaboration on the Minns Lectures which helped inspire Gini, and to Gini for choosing to have this fund and fundraising platform be one of her many gifts to our association, and part of her and Naomi’s legacy to our larger faith. Now, to honor Gini appropriately I don’t think just having a dribbly slow start to this fund will do. No… That will not do… Do you? I’d didn’t think so. Together, I would like us to raise $100,000 to kick it off. Doesn’t that sound good? Wouldn’t that be a mighty accomplishment? Wouldn’t you like to see the look on Gini’s face? If you love Gini, if you love the idea of our using our funds to power new creative and innovative ministries that are just too small or weird or risky or whatever usually leads these important experiments NOT to be funded, make a donation. Thank you for helping us launch this big time! PS – Below is our Minns Lecture video (full). You may watch in short segments here. Recently I had the honor of collaborating with my friend and colleague, the Rev. Naomi King, on the 2013 Minns Lecture “Ministry in the Age of Collaboration.” We were asked to speak on social media and Unitarian Universalism in the 2st Century. We are both sharing core messages from our talks via our blogs, and videos of the lectures will be available later this month. For this first post of mine, before I start in on social media, I think it is helpful to speak to the issue of our congregations being out of synch with time. I’ve discussed with United Church of Christ colleagues the fact that the UCC seems, to me, 10 years ahead of the Unitarian Universalist Association in some regards. They in turn chuckle and say they feel the UCC is 10 years behind where they should be. That puts us, if you do the math, 20 years behind! Why don’t our children grow up to be adult Unitarian Universalists? Why aren’t families participating the way they use to? Why aren’t we attracting all those spiritual and not religious people, the nones? And while we’re at it, why aren’t people drawn to, and participating in the work of good institutions like ours the way they use to? These are complex issues with no one simple answer or quick fix. But there is a common problem plaguing many of our congregations which is directly contributing to them. Our congregations? They’ve gotten lost in time…. I know, it sounds like science fiction, doesn’t it? Many congregations are living in what I call “ministry time bubbles.” You see, for many congregations — maybe yours — the world has changed around you. Not a little. Not a lot. We’re talking massive mighty change impacting every aspect of our human society. How did some congregations get stuck in time? A content membership, leadership and staff with enough money to care for themselves, coupled with sudden rapid technological innovation in the world at large. When a congregation has stable membership numbers, enough funds to meet its own needs, it is easy to focus on caring for that immediate community. That’s the congregation as “safe harbor.” And believe me, plenty of people are looking for a safe harbor, including being sheltered from change. With a reasonable membership and sufficient budget, a congregation can go about its ministry in this way, with attention on its membership and little attention on the rest of the world for years. To create a significant ministry time bubble, take this set up and crank up the rate of change in the larger world. Presto! For a very long time change in our world came at a rate that was challenging, but not too drastic. The difference between “congregational time” and “world time” was reasonable. Leaders were able to slowly soak in the change. Taking time was okay. A decade to get the congregation set up on email? No problem! Five years to debate a new website? Why not! These technologies are fundamentally changing the culture, norms and expectations of human society. And not just once, they’re impacting human behavior day after day after day. While many congregations have been going about their business of faithfully changing the world locally (focus on core membership), the very world they’re called to change — it changed. Result? A congregation out of synch with time, technology and culture. These ministry time bubble, they may be fine for a while. But increasingly the discrepancies are too great to maintain. And what was chalked up to technology becomes a matter of clashing cultures. These discrepancies between how our congregations are going about ministry and what is increasingly mainstream culture – big problem. It is easy to discount technology we don’t care for. But we can’t minister effectively if we discount a changing human culture. And that’s the scale of what we’re talking about. Think about that. Your congregation, if you aren’t actively staying in touch with present day technology and resulting culture — and this is a moving target — will be increasingly out of touch with the culture of those people you are seeking to minister to and with. What culture am I talking about? We’ve been globalized, interconnected and sci-fi like devices have been placed in our pockets giving us mind boggling creative, collaborative, and coordinating powers! These powers are rapidly changing how we do everything from work and play, to how we learn and organize ourselves to face the injustices of our time. Unfortunately, this growing culture clash isn’t readily apparent to many of our leaders. Why? Because our culture being out of whack with what is becoming mainstream present day human culture simply results in humanity wanting nothing to do with us. It is like a silent force gently pushing people away from us, including our young people who want to be active and effective agents for change. You might say that we raised our very smart children well enough for them to know that our congregations, those stuck in time, are not the best places to invest their time and energy. Great leaders (and aspiring leaders) don’t suffer through mediocre leadership. They find an institution or revolution ready to help them be of service. The good news is that our mission, our purpose, that change we and our congregations are (hopefully) called to make in the world — there are more people than ever interested in that. We know this because we’re increasingly networked together. But the people we are trying to minister to and with are different now. You see, we’re all adapting to this new world. We are learning to do amazing things with the creative, collaborative, democratizing, gamified, hierarchy crushing, grassroots coordinating, rapid response, instantaneous, “fail often, fail fast, fail forward” tools and culture of this time. We need your Unitarian Universalist religious leadership more than ever! We just need you to be a religious leader differently. We need you to understand the cultural shifts that are reshaping our human society, reshaping the world, and how to harness them to unleash our shared ministry in a world increasingly characterized by connectivity and openness. In my next post I want to talk to you about our world’s increasing culture of openess. You can get ready by watching Don Tapscott’s Ted Talk, Four principles for the open world. You know culture and technology are changing at an accelerating pace. But what does this mean for our Unitarian Universalist ministry? Join us, the Rev. Naomi King and Peter Bowden, for a series of Tweetchats and Facebook discussion exploring “Ministry in the Age of Collaboration,” the theme of our March 9, 2013 Minns Lectures. During these online conversation we will explore how social media and social networks are empowering people to risk and live faithfully. Because we know working faithfully together creates more positive effects in the world, we want to start the conversation prior to the Minns Lectures in March, as well as continue it once videos of the lectures are released. Don’t miss these opportunities to ask questions, share ideas, and shape what we hope will be an association-wide conversation. You may share this page using social sharing buttons at the end of the post. Thanks! Our hour long live Tweetchat on Feb 12th will share the themes and core questions driving our lectures. We want to here you ideas, stories, and have the opportunity to weave more innovation and real life examples into our talks. The month after the lectures, April 9th, after the lecture videos have been shared, we’ll have a follow up conversation. 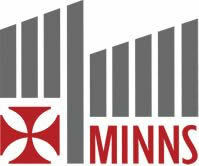 This virtual chat room will bring together tweets sent with hashtag #MinnsLecture. 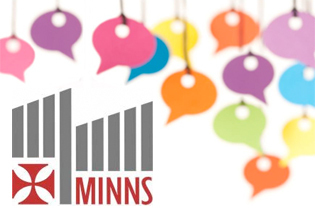 While all tweets are public to everyone following you, using this Tweetchat room makes it easy to focus on our #MinnsLecture themed conversation. Tweeting about the Minns Lectures? Use hashtag #MinnsLecture. Register online here. Event is free, but tickets are required. In the spirit of William Ellery Channing, who once said, “I was always young for liberty,” the Minns Lectures for 2013 will be structured around three lively interactive presentations on how our free faith tradition speaks to, and in the past reached out to, young people – and how today’s revolution in social media can reshape, enlarge, and invigorate that outreach today. Rev. Greenwood has served congregations in Atlanta, GA, and Watertown, MA. A strong advocate for special education both in the church and in the broader community, she is currently writing a biography of the Newbery Medalist, Elizabeth Enright – a Unitarian and the niece of Frank Lloyd Wright. Rev. King ministers locally and at large with City of Refuge Ministries, utilizing social media to join global houses of study, prayer, and action, and to grow faith communities in and beyond congregational walls. Via a mix of spiritually minded blogs and faith development programs, her ministry reaches around the world, engaging multifaith partners as well as Unitarian Universalists. A television producer and parish consultant, Mr. Bowden runs Leading Congregations, [was the author of the UU Growth Blog, now archived on this site], and UnitarianUniversalism.TV. He is dedicated to helping religious leaders master changing culture and technology. The Minns Lectureship Committee of King’s Chapel and First Church in Boston sponsors an annual series of lectures by UU ministers on religious topics of historical importance and contemporary relevance. Last year’s lectures by former UUA president the Rev. John Buehrens explored the renewal of Unitarian Universalism in the 21st century. Video, audio, and texts for these lectures and for earlier ones, along with additional details on the 2013 lectures and how to register (at no cost), can be found on the Minns website. The committee welcomes innovative proposals for lectures in 2014 and beyond. Guidelines on proposal submissions and a short history of this unique lecture series are also posted on the website.